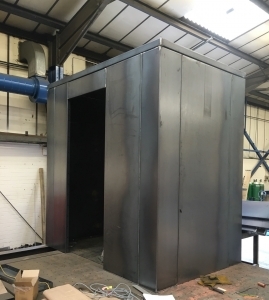 Our panic/safe room has been developed from over two decades of experience protecting staff and assets across the United Kingdom. Our first secure rooms provided valuable security in preventing thieves from attacking ATMs while giving CIT (cash in transit) personnel a safe environment when replenishing cash nationwide, sometimes in remote locations. Most national banks, supermarkets and independent ATM deployers have used our secure room solution. Using this expertise and knowledge our panic/safe rooms are currently being installed to protect high net worth individuals and valued employees worldwide. We have a growing list of global partners who possess a vast wealth of personal security expertise that can help advise, design and install your safe room. Our safe room has passed various ballistic tests that allow it to protect individuals in even the most hostile situations. 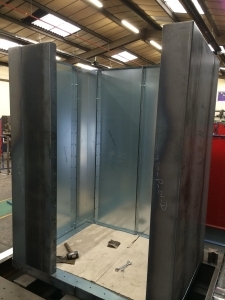 Due to its unique modular design, our safe room can be installed quickly with little disruption into most buildings. It has the added benefit of being cost effective due to the fact that it can be easily relocated when a threat subsides.